Machas Artist Olaf Hajek: Bombay Sapphire from MACHAS on Vimeo. Watching artists painting wonderful artworks under your eyes while sipping G&Ts — what could be better than this? 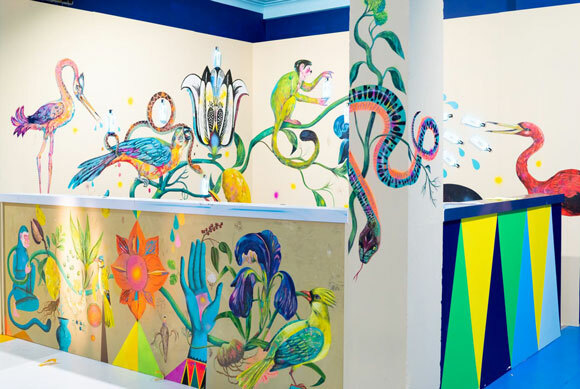 Pursuing its global mission to ‘Stir Creativity’, Bombay Sapphire launched the Canvas project, a unique and colourful experience combining mixology and art. 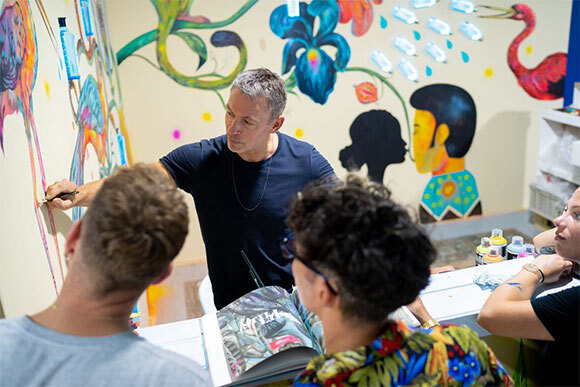 The Gin brand invited Olaf Hajek along with fourteen other international artists to take over a single space in the heart of vibrant Shoreditch, in London. Their challenge? To transform a completely blank room, from floor to ceiling, into a visually stunning work of collective art. The public was invited to watch the artists transform the space over the course of four days. Guests were encouraged to unleash their creativity by mixing their own Gin cocktails as the space around them turned into an immersive living artwork. 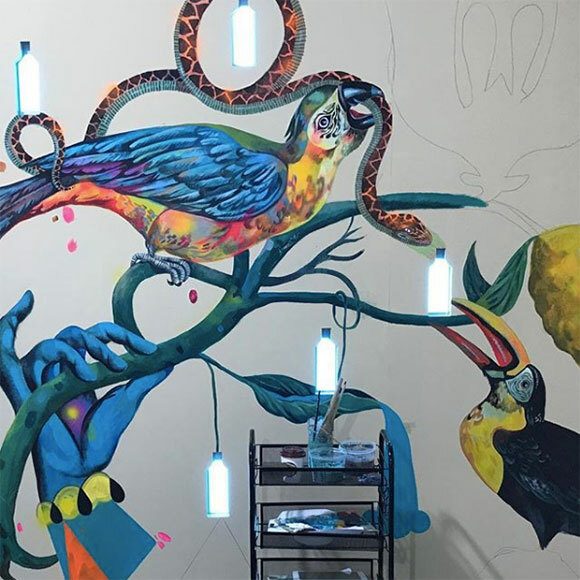 Olaf used his distinctive and elegant style, infused with Bombay Sapphire’s bright blue colour, to create a wonderful mural for the bar corner, bringing to life a magical world inspired by nature — one of Olaf’s recurring themes.